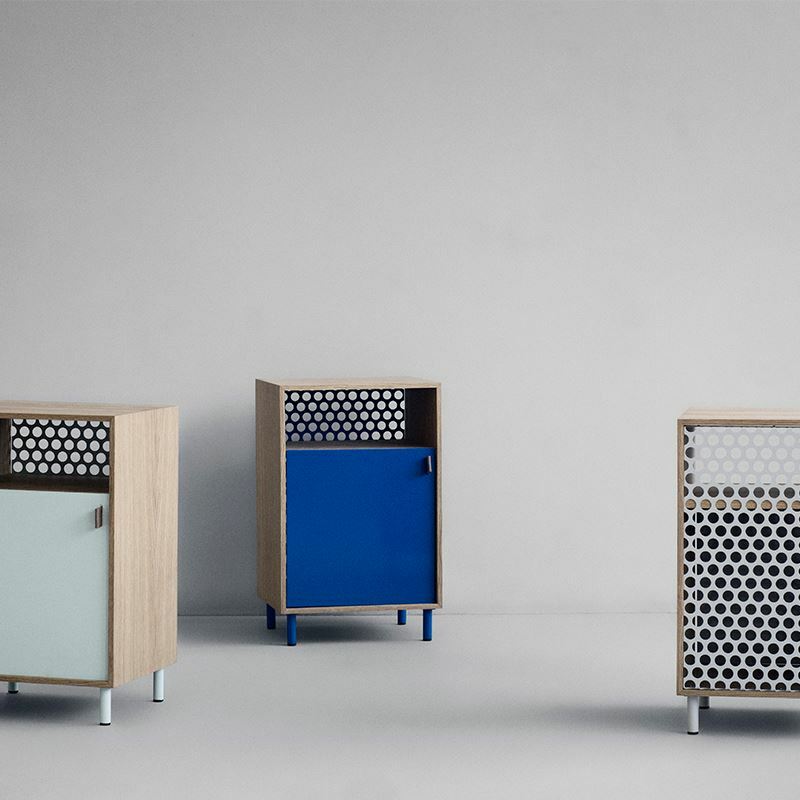 Let’s start with furniture, since it’s the foundation of an effective office space. 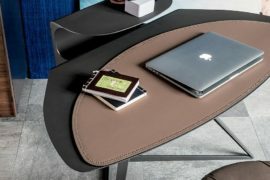 This Go-Cart Mint Desk from CB2 can be your primary desk, or it can serve as an additional work surface in an L-shaped desk area, as shown below. Two of the wheels lock to keep this pastel piece in place. Love the powdercoated mint finish! There’s something irresistible about the Hay About a Chair in Coral, designed by Hee Welling. Soap treated oak and colorful polypropylene are the materials of choice, and you can purchase this lovely find at Nannie Inez. It also makes a great accent chair or dining chair! 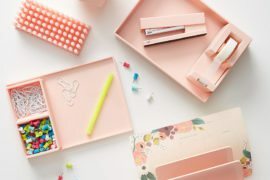 Keeping everything organized is never an easy task, but when you treat yourself to some interesting desktop solutions, maintaining a tidy workspace is a lot more fun! 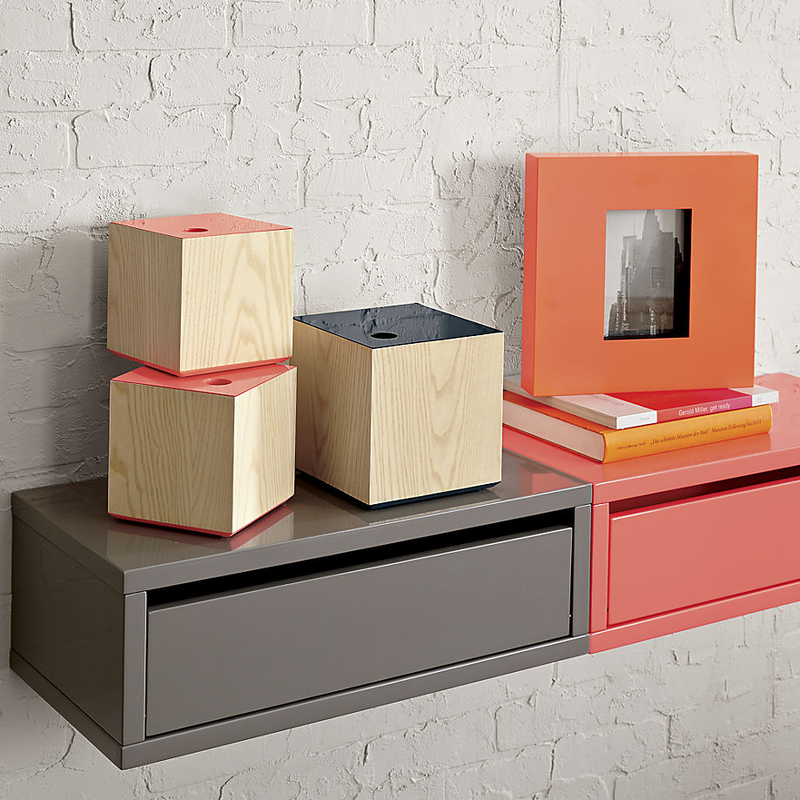 Below we see a trio of products from CB2, including the Graphic White/Navy file box (let’s hear it for grid patterns! 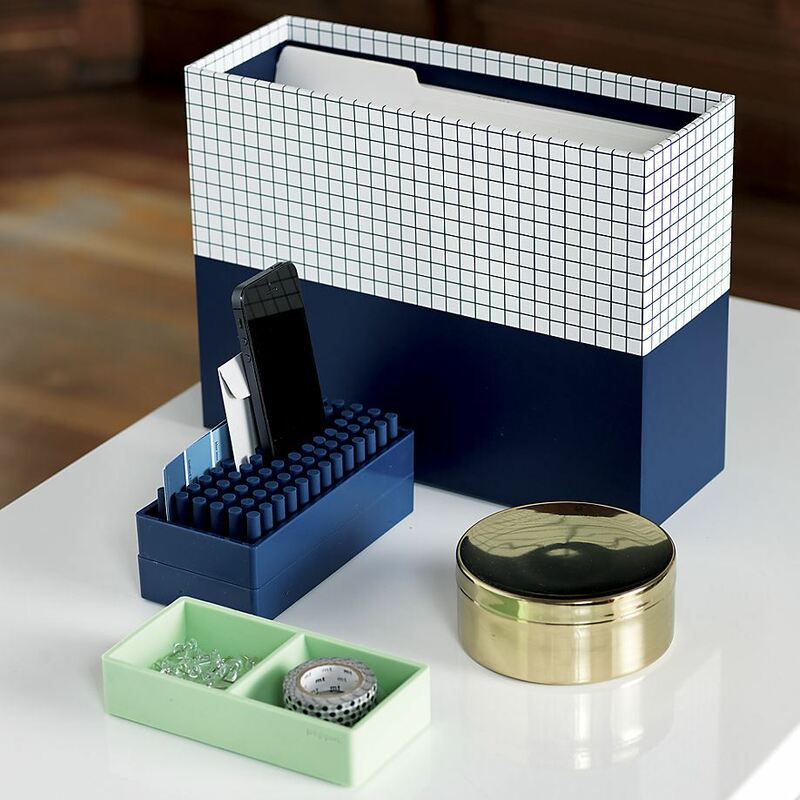 ), the Poppin Navy Organizer and the Mint This That Tray. Navy and mint make a fetching combination, don’t you think?! 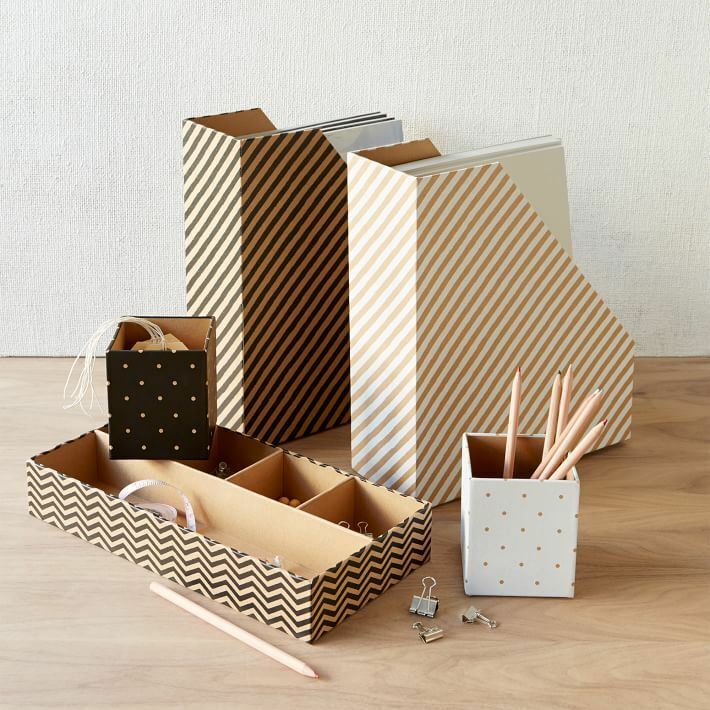 The Kraft Office Set from West Elm combines the chevron pattern with polka dots and stripes. 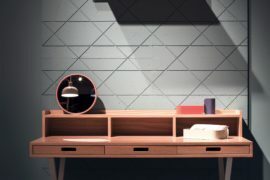 We’re partial to the diagonal stripes! Select a color combination, and enjoy a trio of products: the Magazine Butler, Desk Organizer and Pencil Cup. Tired of using post-it notes as page markers? 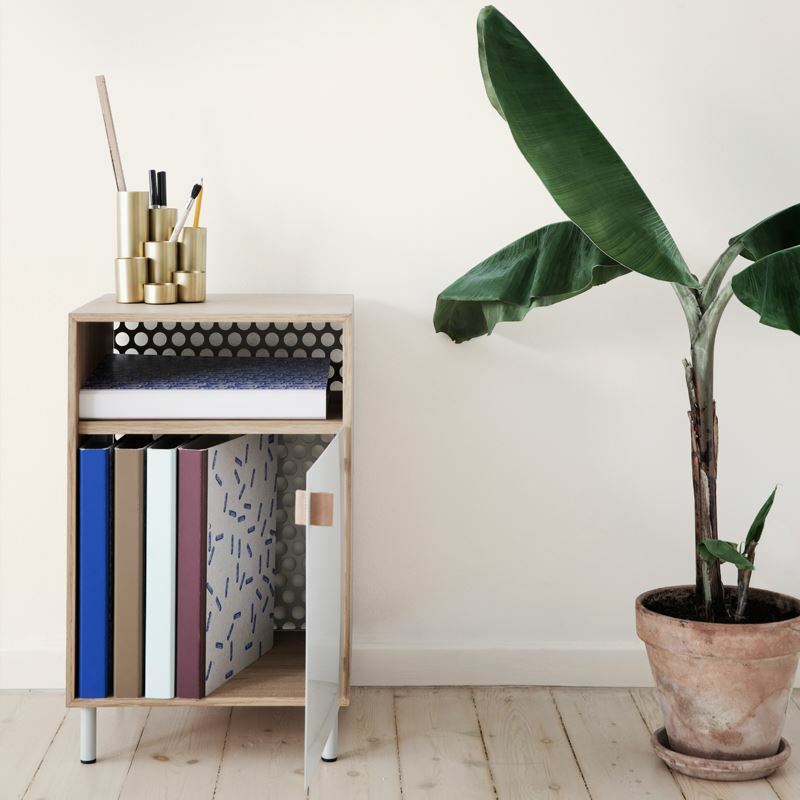 Try these Colour Notes from Dutch design duo Scholten & Baijings’s for Hay Denmark. Available through Nannie Inez, they’re ideal for marking passages in books, magazines and documents. Not to mention, you can choose from five designs and a variety of vivid hues. Next is Super Joy, which is a celebration of blue, red and yellow. 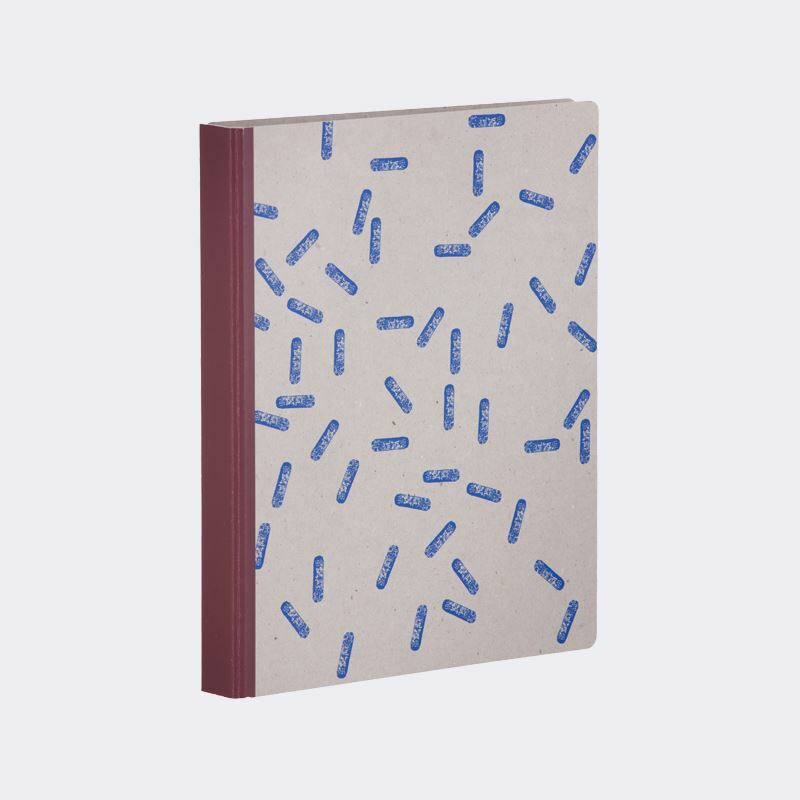 Like the other Write Sketch & notebooks, Super Joy features thread sewn binding. Discover more delicious designs at Write Sketch &. 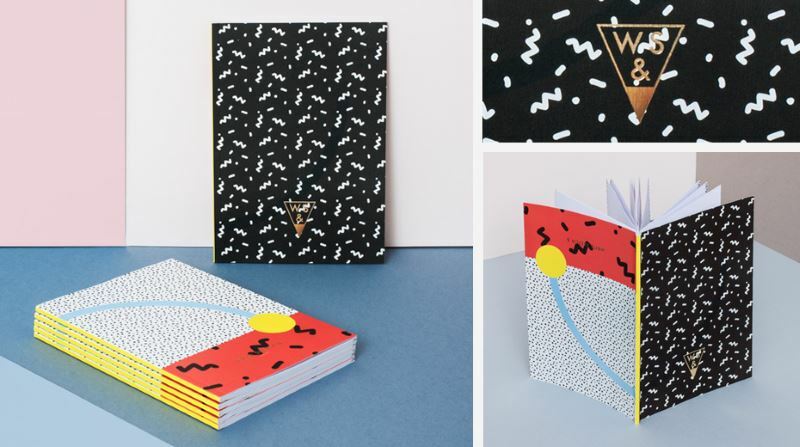 This T-R-I-B-A-L-A-L-A Notebook was designed by Camille Walala for Darkroom. 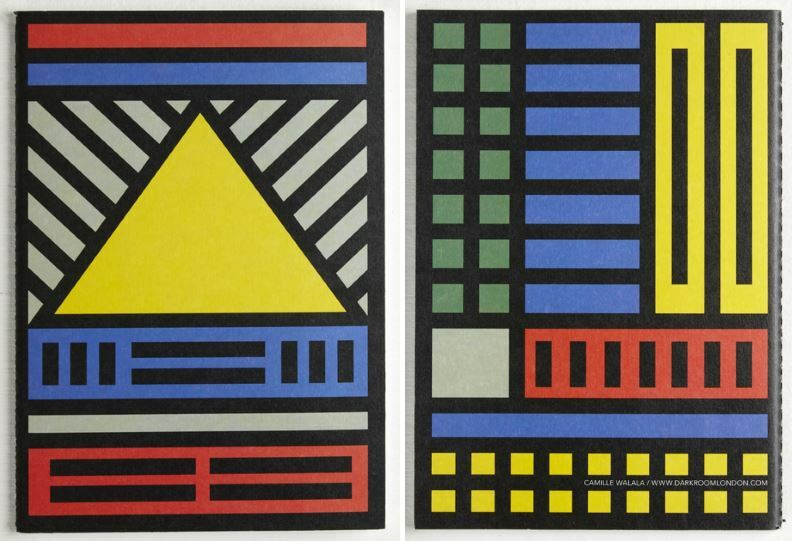 Thick outlines, bright colors and geometric motifs reign. 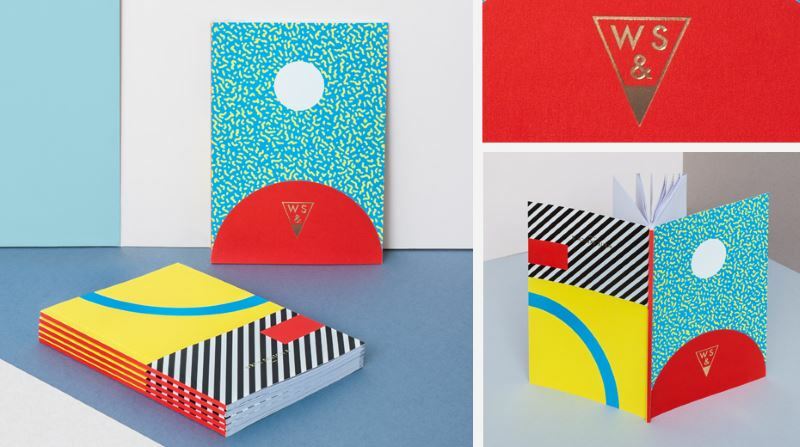 Would you agree that notebooks are evolving from school supply status to true objets d’art showcasing the work of today’s top artists and designers? 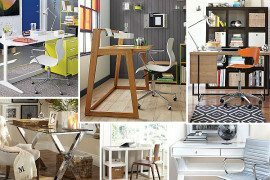 Let’s end with some just-for-fun finds that reinforce the importance of making the home office a bright spot in your house. 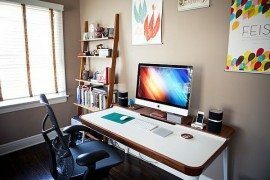 The idea: if you love being in your office space, you’ll be more inclined to complete your daily tasks! 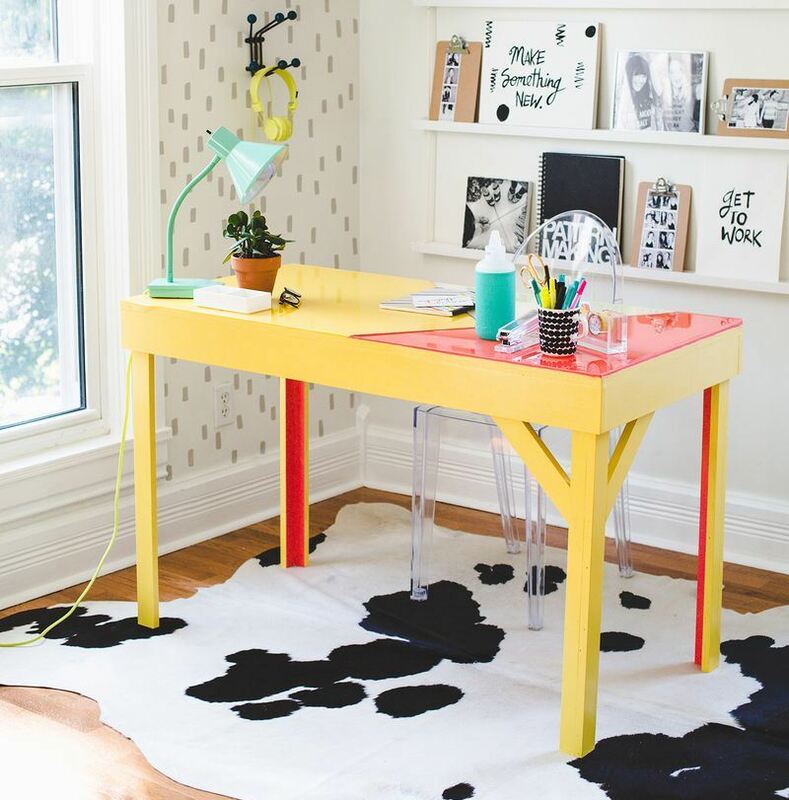 This DIY Colorful Epoxy-Topped Desk from A Beautiful Mess gives us the idea of covering the desktop with color. 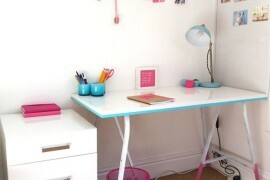 Why not follow the tutorial to embellish your desk, or top it with some custom-cut Plexiglas to make a colorful statement?! 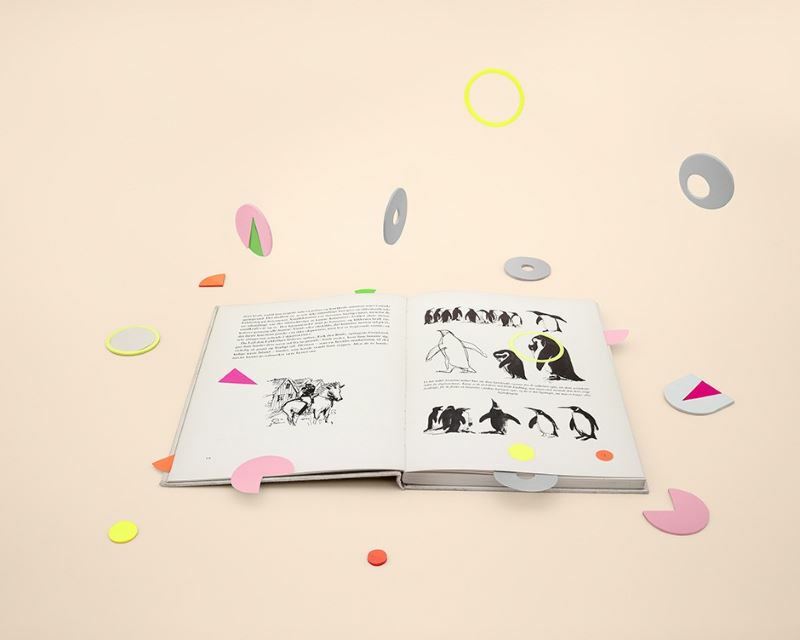 Or you can top your desk with a true conversation piece: Balance Studies 101 from Ladies & Gentlemen Studio, shown below. 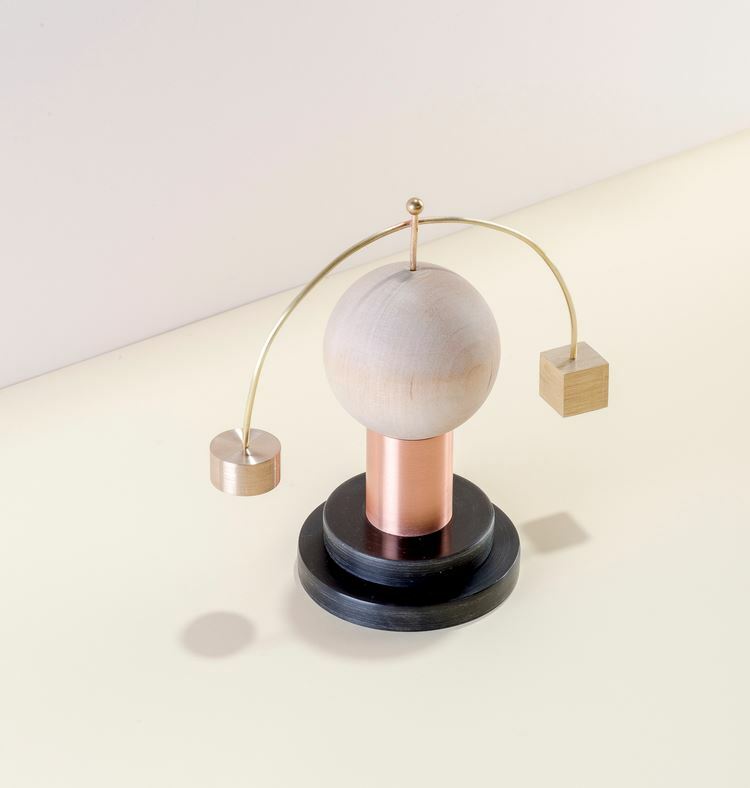 This sculptural object is crafted from wood, copper, acrylic and solid brass or steel. As stated in the L&G Studio description, “The top metal arch rests on the wooden sphere and with a little twist at the top, the metal frame will spin around the wooden sphere continuously keeping anyone entertained for longer that one can imagine.” Talk about an interesting study break! 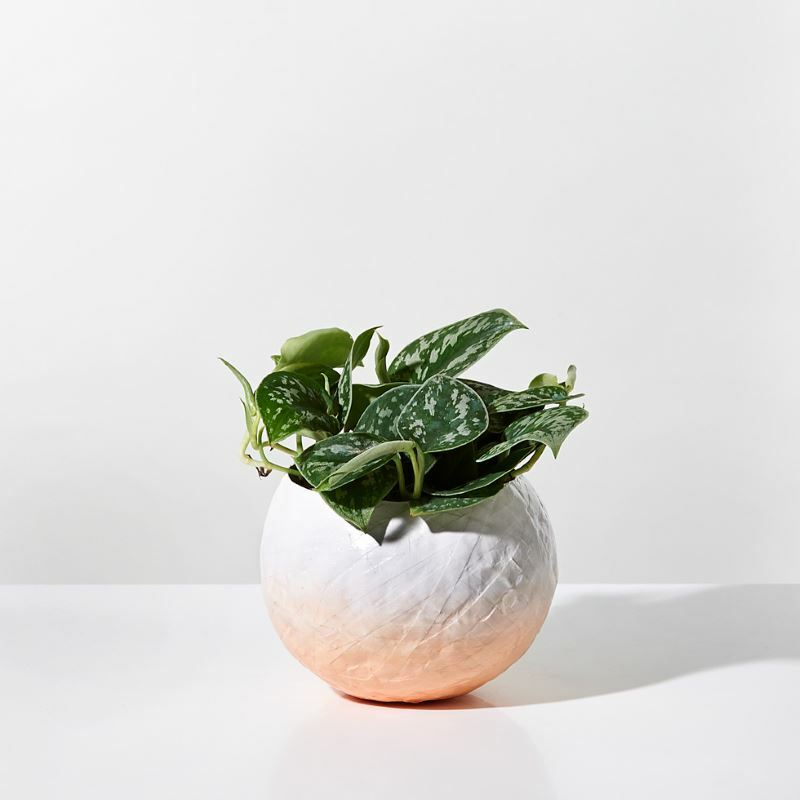 Celebrate mixed materials with these Marble + Wood Objects from West Elm. 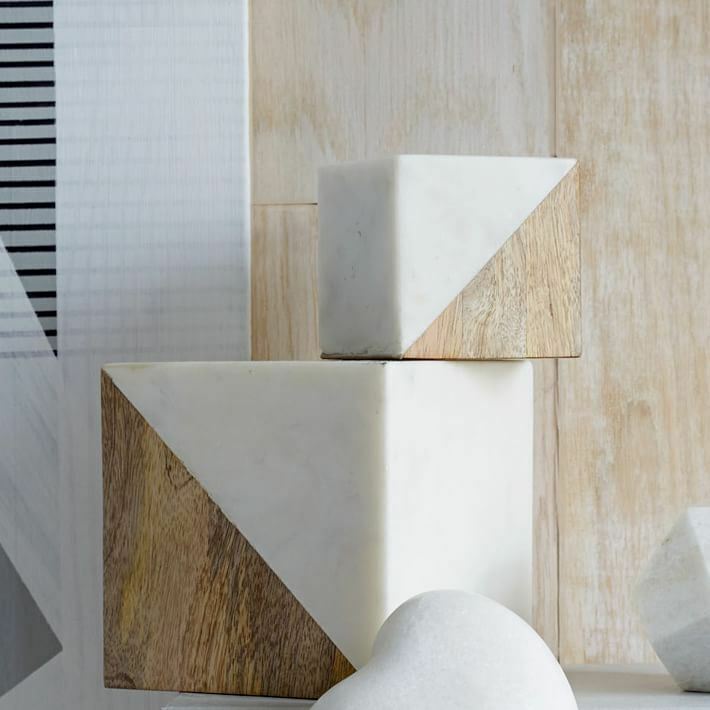 Geo style combines with white marble and mango wood to create a perfectly on-trend display piece. Finally, there’s nothing like a dash of greenery in the home office! The Fade Vessel from Unison is made with a papier-mache process, and then polyurethaned and hand-painted. Designed by Susan Dwyer of Up in the Air Somewhere, the piece is available in yellow or pink. 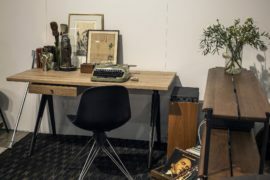 Whether you’re shopping for a new desk chair or a new desk ornament, we hope today’s post has inspired you to breathe new life into the home office. Here’s to a productive 2015!